Mumbai, Feb 10 (IBNS): In a season where several movies are being made based on political leaders, another film, which has been created on the life of Congress president Rahul Gandhi, is going to hit the theatre soon. The teaser of the film has been released by its makers. The movie is titled My Name Is Raga. Directed by Rupesh Paul, the movie has just gone on the floors, reports said. Paul has made movies like My Mother’s Laptop (2008), Saint Dracula 3D (2012) and the unreleased Kamasutra 3D in his career. As per the teaser, the movie will try to show Rahul Gandhi from childhood days when he was disturbed by the deaths of his grandmother, Indira Gandhi, and his father, Rajiv Gandhi. The teaser also suggested how Gandhi finally emerged as a people’s leader at the end. A Narendra Modi lookalike was also seen in certain shots of the film. Not many details about the movie are known yet. A few days back, a movie on Manmohan Singh, where actor Anupam Kher had played the character of the ex-Indian PM released amid protests and demonstrations in some parts of the country. In that movie titled The Accidental Prime Minister, Arjun Mathur was seen portraying the character of Rahul Gandhi. The film, which was junked by most reviewers, tanked. In the season of polls when the country is gearing up for the Lok Sabha elections, it seems that the big screen will also see a battle between leading leaders of the nation. 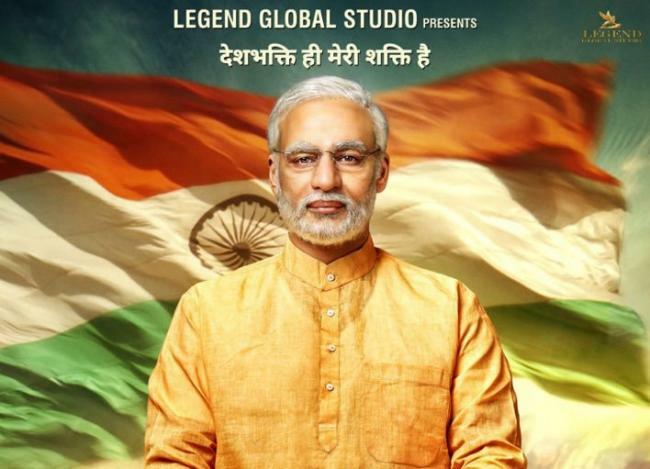 Apart from Gandhi, another movie is making headlines these days as it is based on the life of Indian PM Narendra Modi. Actor Vivek Oberoi will be seen playing the role of Modi in the film. It is directed by Omung Kumar.